Why bother with this aspect? Why care enough about discovering food sensitivities that you allocate time to that vs. something else you need to do (which I’m sure there’s plenty). I have found that consuming foods you have an intolerance to- whether it’s mild or major, can cause inflammation and make weight maintenance difficult. Prior to hCG, we may have been in a place where we were totally not in tune with our bodies. I remember my brother, who because he dealt with health issues from a young age, would tell me how sometimes he’d try a particular supplement and he could tell it threw him off or didn’t feel good in his body. I was kind of the opposite of him and experience pretty stellar health till my early twenties, so I remember thinking wow how can you feel that? I really wasn’t in tune at all with how the various things that went into my body made me feel – I felt like I just always felt the same regardless. Really that wasn’t true, it’s just I wasn’t trained to be aware of my body’s reaction to things. Now I feel much more in tune with my body and how foods or supplements make me feel inside and I know exactly what my brother was talking about back then. So you guys might be in that same situation where for the first time with hCG and post-hCG you have the chance to be more in tune with how the things you put in your body affect you because you are starting from a cleaner slate where you have been consuming a lot less food and lot less varieties of food during hCG. This means it will be more apparent to your right away when you introduce new things how it feels inside. I can tell pretty much right away if a food doesn’t feel good inside me – I will either feel yucky immediately after, showing me something in my stomach isn’t happy about that food, OR I will feel yucky several hours later (maybe 3-5 hours or so later) in my intestines (once the food has digested a bit and reached that are, showing me something in my intestines is not tolerating that food well. If you experience something like this with a certain food, remember this doesn’t mean the problem will last forever, and the causes of these digestive issues can REALLY vary. For instance, I have developed a major problem with most berries because of the seeds- I can no longer really eat blueberries, raspberries or blackberries, as well as even seeds in cucumbers, because the seeds will cause me some major pain in my intestines about 4 hours later – most likely it sounds like this condition called Diverticulitis or maybe just plain ‘ol irritable bowel syndrome. Whatever the case, there’s plenty of foods I can eat that feel just fine (like my kale salads for intance!) but I know specifically which particular foods HURT, so naturally I avoid them. The point is, start to take notice of any patterns. I realized these things were a problem for me after I would hurt in a certain area of my body and realize what I had eaten earlier and that it was these certain types of foods – then I went online to research if others have this issue and if so, what’s causing it, which is how I came across the diverticulitis. The problem may be permanent, or it may be fixable. 1. Improve gut lining health by researching colon cleanses, additional fiber etc. – apparently for instance with leaky gut the membrane of your gut gets thin in places, allowing larger molecules of food to pass through into your bloodstream that normally should NOT do so and this can cause reactions in your body and inflammation as your body fights to deal with this. 2. Creating a better balance of gut bacteria by eating more fermented foods and/or probiotics. This allows your body to digest foods better and can really make a difference in what you’re able to eat. 3. Eating foods on a rotational basis – research 4 day rotation diets – allows you to eat more foods without major reactions because they are rotated and preventing a build up of reaction. 4. Gradual introduction of foods – sometimes you’re not intolerant of a food at all, you simply need to gradually introduce the amounts of that food so that it adjusts to digesting that type of food – see my article discussing this on Phase 3 – Purpose #2 – Digestive System Adjustment. 5. Removing sugar can go a long way to helping your gut heal – overgrowth of candida can cause issues with your gut and how you digest food. Our bodies seem to make the best of things, even in scenarios where it’s dealing with lots of things that really aren’t in it’s best interests. If you live on spaghettios and diet coke, you body will most likely keep surviving and operating for many years – but it’s obviously not going to be without detriment and consequences both now and later right? Surviving and living optimally are two very different things! Before removing gluten from my diet, I had NO idea my body didn’t like it – I had no indigestion from it whatsoever, I ate it daily, most of the time in large quantities. I was actually very skeptical when I read that people with Hashimotos should remove gluten because I honestly didn’t feel it affected me at all. Later, after removing it for 3 months, I discovered my body HATES gluten – enough to cause me a LOT of pain if I ingest even tiny amounts of it. Whereas I can go without rice for long periods of time, then eat some, and feel no reaction whatsoever. 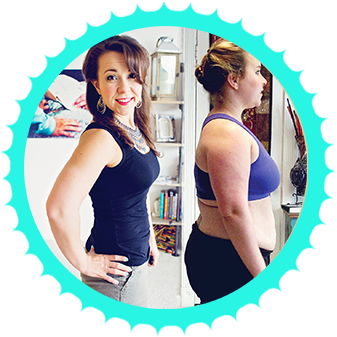 Bringing this back around to Phase 3 – there may be some foods that we thought our body was okay with, but that perhaps WAS causing inflammation and fat gain and we didn’t realize it. Because most likely a lot of these foods were not in your diet during phase 2, now is the perfect chance to discover if you have any foods or food groups like this. Having kind of shocking weight gains from certain foods doesn’t necessarily mean you are truly sensitive to them either – a lot of people report there are foods they couldn’t eat in Phase 3 that were then fine in Phase 4 and didn’t cause gains. So Phase 3 (as well as phase 4) are really an experimental period of discovery. Is there anything you’ve discovered in this regard about your own body? Feel free to share in the comments below. It's here! The hCG Diet Workbook is FINALLY here! Refill hCG Diet Workbook Now Available on Amazon! I came here to see if anyone had had a similar experience to mine when I waded into phase 3! I’ve done the protocol four times before, but this last time was my first on injections; once I was about a week into phase 3, my face started breaking out quite a bit (and I wasn’t about to start my period so it wasn’t hormone-related, at least not in that capacity)! I’m not sure if anyone else has had this kind of experience but I venture to guess it’s me adding in some small amounts of gluten, even though I’ve never had a gluten sensitivity before. Any insight would be good! I’m starting another round in about a week and once I complete that and head into phase 3 again I’m going to try to kind of add one food at a time back in instead! There were ladies who actually experienced various food sensitivities while on the hCG diet and it affected them in different ways also, mostly skin related as well. Another thing to look at is it could be your body detoxing, causing all these breakouts. I seem to be having problems in phase 3 and it’s my 3rd day into it. For starters I work 3rd shift and last night was my first day back to work after I started p3. I shot up 2 pounds and I did nothing but drink water and tea at the beginning of my shift, which is from 11pm-7am. I also have not be able to have a bm since going in to phase 3. But when I’m off on the weekends, I have no problem with stabilization. Smooth move does not help me, I drank 2 cups last night and nothing. What am I doing wrong because now I don’t want to eat for fear that I will gain weight. Do I need to do a steak day?. Ive been very careful not to introduce too many things at once. I have completed 2 rounds with a 40 pound weightloss, and am terrified I might ruin it. I have 2 more rounds to go and would like to start off where I left off from this round, without gaining more weight. Any suggestions? I’m not totally positive what to suggest, but I wouldn’t panic- like you said if these gains are not related to overeating and such, I feel this is likely water retention and such- although the lack of being able to sleep at night is probably troublesome and it makes sense how you said you have a better time with stabilization on the weekends. I wouldn’t do a steak day actually unless you are positive you ate wrong- otherwise, I think it would be better to keep working with your body, eat by P3 rule and eat to hunger (don’t get overly full etc) and see how things go. Sometimes you just have to stabilize a little higher than you like but it should just continue to shoot up without end. I’m sorry that’s the best I can offer at the moment! If you can’t figure out what is best to eat I always have my structured P3tolife program too- the women who follow that stabilize pretty seamlessly. I hope that helps! I have watched almost all of your videos, but recently concentrated on the ones concerning P3, especially the purpose of P3. I have done several rounds in the past but always end up regaining a large portion of my loss. You made it so clear to me that stabilization is the key to P3. So, this time I was very slow and conscious of any new food introduced in P3 and was ultra conservative about it. I found that I never needed a steak day, my weight was always within the 2 lb range. I have just successfully stabilized in my P3 round and am moving into P4. I intend to do the same in P4, introduce gradually, only one or two new food items at a time so that I can gauge the effects they have on my body. I feel so much more in control this time. The previous rounds, when I was done with P3 I was just kind of turned loose with no real plan or direction. I didn’t think about the slow re-introduction of foods. So I ate what looked good and the scale would climb and I would have no idea what the true cause was because I wasn’t journaling and adding with purpose! This time will be different! I am so stoked! I am excited to think that this new awareness may mean I will never need another round. Well said! Definitely a benefit of HCG, you really get a chance to find out what foods are causing problems. I was VERY surprised to find out which foods were problematic and which ones were not. So glad you address this Rayzel! Thanks!